Spread the Word Kick Off!!! We’re excited to start our Winter Parent Workshop Sessions for Spread the Word!! Come out February 16, 2017, 6:00pm-8:00pm for the Kick off at New Horizons Center, 745 Orr Street NW, in Vine City. 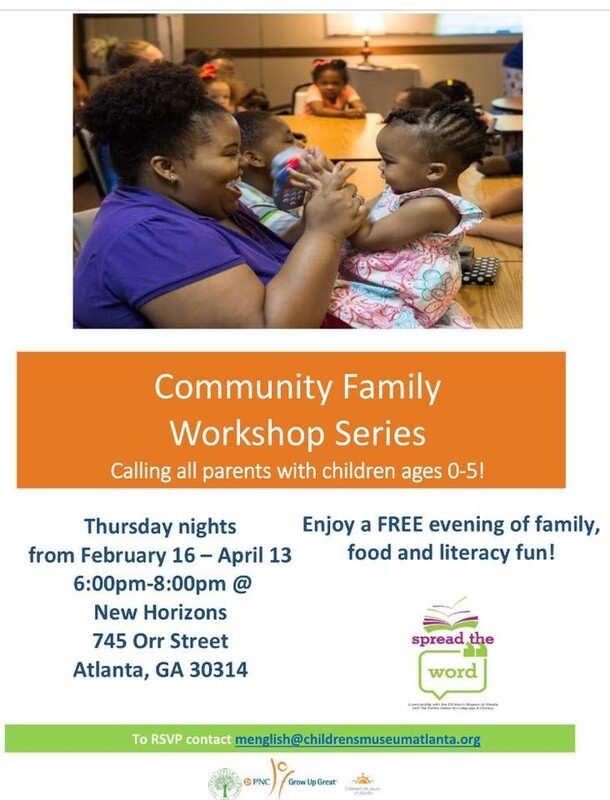 Join us and learn about how our workshops can help you understand child development, reading and much more. We have lots of fun planned with music, storytelling, face painting and dinner will be provided by Chick-Fil-A with a special guest: THE CHICK-FIL-A COW!!!! Prev Post: Spread the Word is still spreading the word!